Home » Blog & Radio Show » What Does Sleep Mean for Your Emotional, Physical, and Overall Well-Being? Arianna Huffington, the co-founder and editor-in-chief of “The Huffington Post,” has written a whole book about sleep called The Sleep Revolution. Huffington believes that we are in the midst of a sleep deprivation crisis that has had profound negative consequences on our society. Huffington writes that it is only by renewing our relationship with sleep that we can take back control of our lives and our health. How much sleep you get, along with the quality of that sleep, can profoundly affect your mood. When you’re sleep deprived, you’re more likely to experience negative emotions. 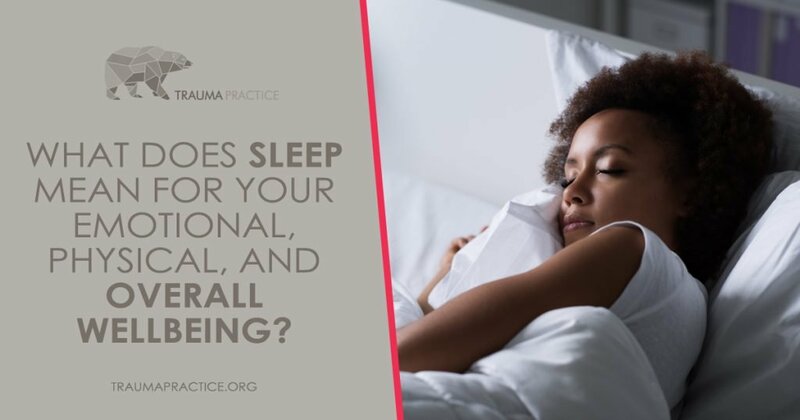 What’s more, a study by researchers at the University of Pennsylvania found that these feelings can emerge even if sleep is only restricted by a few hours. However, for those getting plenty of sleep, moods were happier and more positive. Plus, participants typically found that their mood rebounded as soon as they started getting enough sleep at night. Sleep deprivation also impacts your emotional reactivity, specifically in situations where it’s hard to control your immediate emotional reaction. This is often exhibited through outbursts, withdrawing from people, lashing out, feeling hurt, etc. A lack of sleep makes it much harder to keep these outbursts under control since both your mood and mental capacity are reduced when you are sleep deprived. Improving your sleep patterns can return a measure of your emotional control, blunting these adverse reactions to everyday stimuli. Interestingly, men and women seem to experience parts of the emotional impact of poor sleep differently. One study found that, while both men and women can experience emotional volatility first thing in the morning due to lack of sleep, it tends to impact women more. This can manifest in anger, hostility, and depression. Research has indicated one possible reason is that women’s brains use more energy than men’s. Without proper amounts of sleep, there can be greater potential for emotional difficulties. The answer is to create a better sleep schedule to get adequate restorative sleep every night. Go to sleep and wake up at consistent times, even on weekends. Always follow the same bedtime routine. Limit the number of naps you take in a day. Find ways to relax your mind once you are in bed. If you feel that your sleep deprivation is bordering on insomnia, we recommend reading Quiet Your Mind and Get to Sleep by Rachel Manber, Ph.D. This book proposes solutions to those with insomnia-related mental health issues in a step-by-step manner that simulates the experience of seeing a sleep therapist. We also invite you to tune in to realityradio101.com on Thursday, March 28, 2019 at 1 pm to listen to our radio program all about sleep and how it affects our lives. Listeners are invited to ask questions, leave comments, or share their stories via phone or email. We look forward to discussing this very important subject with you!